Our friends at Fiskars have been telling us all about their latest range of next generation axes. Even though it’s still sunny skies outdoors, just think of the chilly nights to come and how much you’ll be enjoying a toasty log fire through autumn and winter. 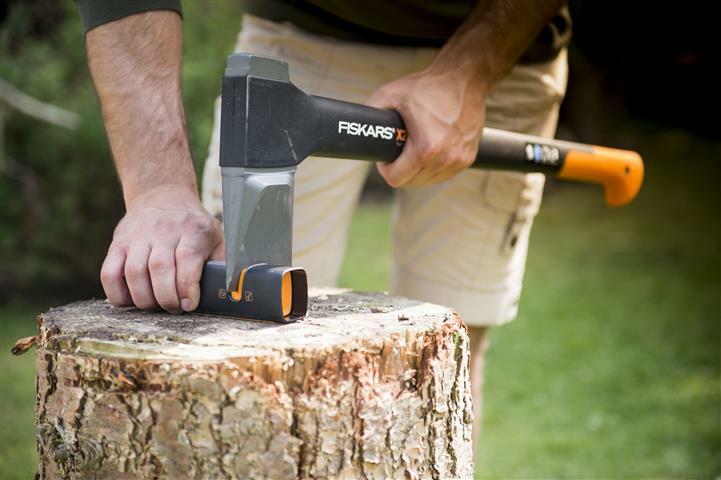 We’ve been very impressed with the top quality, durability and comfort of everything Fiskars has released so far, and these axes have also delivered the same level. It’s exciting to hear that the Fiskars Next Generation Axes were awarded a ‘2012 Red Dot Design Award’ – a true indication of the high level of quality and innovation. Fiskars next generation axes cover the full range of functionality from splitting to chopping, woodcraft to carpentry and pruning. The range delivers minimalist design and sharp-edged functionality and the new X27 Splitting Axe features a longer shaft to give you more power for those heavier splitting tasks. The axe head has been integrated into the blade design for extra strength, and the ultra light and durable Fibercomp handle (with anti-shock and comfortable non-slip hooked end) minimises fatigue and maximises safety and comfort, as well as ensuring the axe is virtually unbreakable. The precision ground blade (convex shape) and the double-hardened blade edge makes the axe head less sensitive to fracture. With balance between the head and shaft, the swing is efficient and safe as well as easily removed from the log. This is due to the rounder edged enhanced blade geometry. So, it’ll bring you years of reliable and comfortable wood splitting and chopping without the wear and tear. Now that’s true craftmanship! All Fiskars axes come with a sheath for easy carrying and storage and a 25-year warranty.